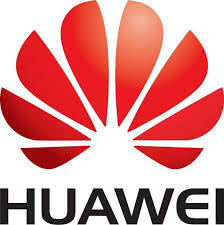 Huawei is creating a dual boot smartphone to give customers choice between Windows Phone and Android OS. The manufacturer currently holds the 3rd spot in smartphone production and according to its chief marketign officer, if their devices ran on Windows only, this would affect people’s decision to buy Huawei smartphones. “If they have the Android and Windows together, you can change it as you wish and it is much easier for people to choose Windows Phone. We think the dual OS can be a new choice for the consumer.” – Shao Yang, Huawei’s chief marketing officer. Huawei’s strategy to capture greater market share involves good design and smart technology, and with Android’s great command of the smartphone market, Huawei has to include it on its devices to gain more consumers. “Compared with Android, the priority of Windows Phone is much lower but is still one of our choices of OS. We are definitely using a multi OS strategy,” says Yang. This is music to my ears!! cant wait to get my hands on this device. Currently have a dual boot machine, windows and ubuntu and i like it. You will have to buy it online and ship it, information so far is that it will be a US only device. We live in a global village, how is the pricing predicted? There is so little information about the specific device, We’ll update as soon as we catch something new.